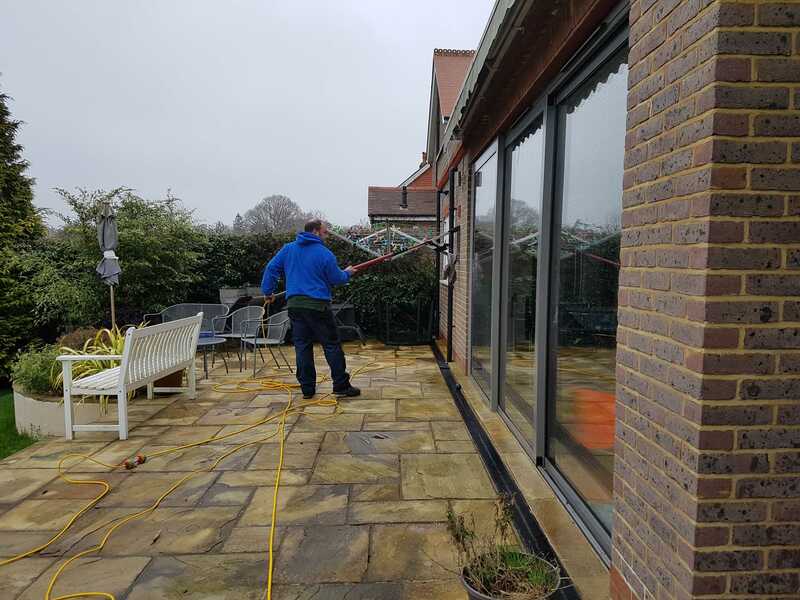 From mobile homes to mansions and everything in between, We provide complete professional residential window cleaning services. Based in Shalford we cover all local areas including but not limited to: Guildford, Godalming, Milford, Hurtmore, Elstead, Cranleigh, Alfold, Dunsfold, Loxwood, Shamley Green, Wonersh, Peaslake, Holmbury st Mary, Farley Green, Forest Green, Shere, Gomshall,Farncombe, Chilworth and Albury. The most common frequency being every 6 weeks. Other frequencies are available. Feel free to call and have a no obligation quotation and we can discuss your requirements. 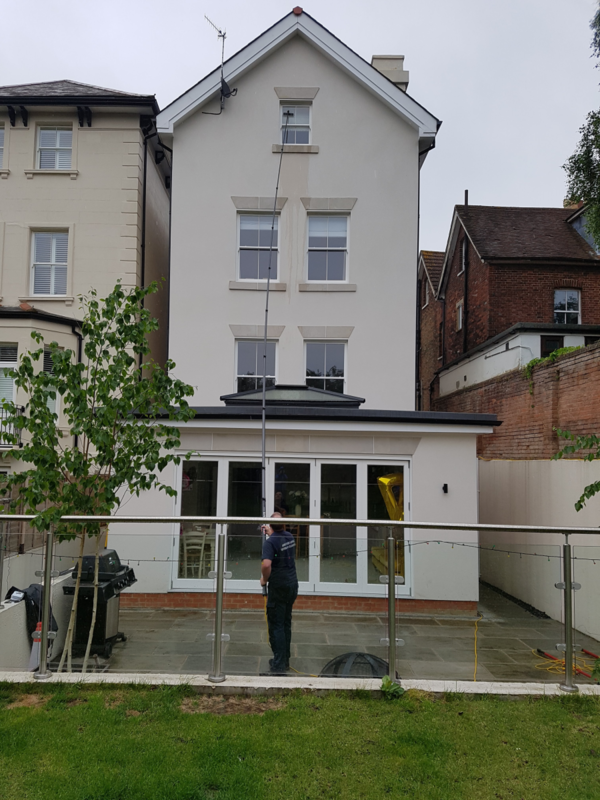 We can also offer the additional services of Skylights, Roof Lanterns, Solar panels, guttering cleaning or clean out, cladding/soffit/fascia cleaning and conservatory roofs We do all our domestic work ourselves. We always offer to give a txt, call or email the day before to let you know and give notice to unlock the gate. We are fully uniformed Customer satisfaction is always the aim for us, we want to do an awesome job at a competitive price and we will clean exactly what we quote for, we don’t cut corners we clean them! We are so confident in our work if you are not satisfied with the work and its our mistake we will happily come and do it again for free!